The NFL running back may not be the most imposing of figures in the league, however, he has done enough in his career to earn himself some enviable accolades. Ty Montgomery is a former consensus All-American and two-time Pac-12 Champion who played college football at the prestigious Stanford University. He was subsequently selected by the Green Bay Packers in the third round of the 2015 NFL Draft as a wide receiver. Having switched to running back in the 2016 season, there is a feeling that the Mississippi powerhouse still has a lot to give in his career. Born Tyler Anthony Montgomery in Jackson, Mississippi, on January 22, 1993, he spent a chunk of his childhood in Texas. Anthony’s high school education was attained from St. Mark’s School of Texas in Dallas. Young Tyler has always been an avid sportsman as he was involved in track, basketball, football, baseball, and lacrosse. He excelled in different positions on the gridiron, graduating with 118 catches and 36 total touchdowns. Tyler also won some medals for his track & field endeavors such as gold for the 100-meter and 200-meter dashes at the 2011 SPC Championships. Moving on to the prominent Stanford University in 2011, Ty Montgomery decided to focus on football. His freshman year saw him post some good records, playing on special and offensive teams. He continued to improve on his statistics in his sophomore year with better receptions, and kick returns. By his junior year in 2013, Tyler was named an All-Consensus American primarily for his enviable kick return statistics. He finished off the campaign with 61 receptions, 10 touchdowns and a lot more records worthy of envy. After a slightly less impressive senior season at Stanford, Ty Montgomery was drafted in 2015 as the 94th overall pick by the Green Bay Packers. He signed his contract on May 21, 2015, and made his first appearance against the NFL’s Chicago Bears on September 13. After a brief timeout due to an ankle injury, he wrapped up his rookie campaign, posting 15 receptions for 136 yards. He also recorded 2 receiving touchdowns. After starting the 2016 season with limited playing time, he eventually got his chance at running back when injuries sidelined the likes of James Starks and Eddie Lacy. He would go on to play the remainder of the campaign in that position, recording impressive stats including 457 rushing yards, 348, receiving yards, 44 receptions and 3 rushing touchdowns. The following season was a subpar season for Ty Montgomery and this was largely due to injuries. He broke his ribs twice during the season and eventually got sidelined for the rest of the campaign after he sustained a season-ending wrist injury. Ty was born to football-loving parents Ty Montgomery Sr. and Liza Frazier. Ty’s parents divorced when he was 3 years old and he lived with his mom. However, both parents remained very active in his life and were his earliest football tutors. Montgomery was the only biological child from his parent’s union, although he has a step brother and sister from his father’s subsequent marriage. Also, growing up, his mother fostered many kids in their home, so, the running back never really had to suffer any kind of loneliness. Ty has been married to Remy Klamer since 2017. Remy also dabbled into athletics back in high school where she was part of the school’s track and field team. She bagged a degree in interior design from Baylor University and another in business administration from Naveen Jindal School of Management in 2017. There are reports online that reveal that Ty is married to a woman named Lexie Dierker. These two are not to be confused. 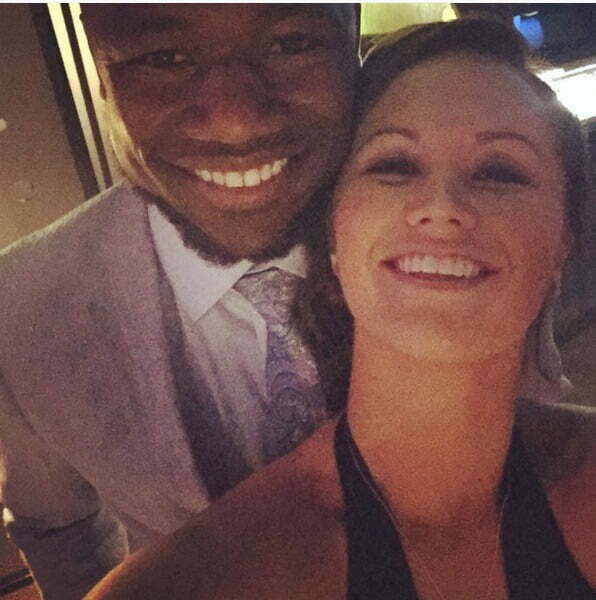 Lexie is also in a relationship with another football player who is also named Ty Montgomery but he does not play for the Green Bay Packers like Remy’s Ty. These are two separate couples. Ty and Remy got married in Hidden Vines Chapel, Grapevine, Texas on March 3, 2017. On June 13, 2018, they welcomed their first child, a boy who they named Stone Anthony Montgomery. The Packers player weighs in at 98 kg, which translates to 216 lb. He also stands at a height of 6 feet which is the same as 1.83 m. There’s no other verifiable information about his other body stats.